26 Inch Short Sword | BUDK.com - Knives & Swords At The Lowest Prices! This sword is the perfect size! 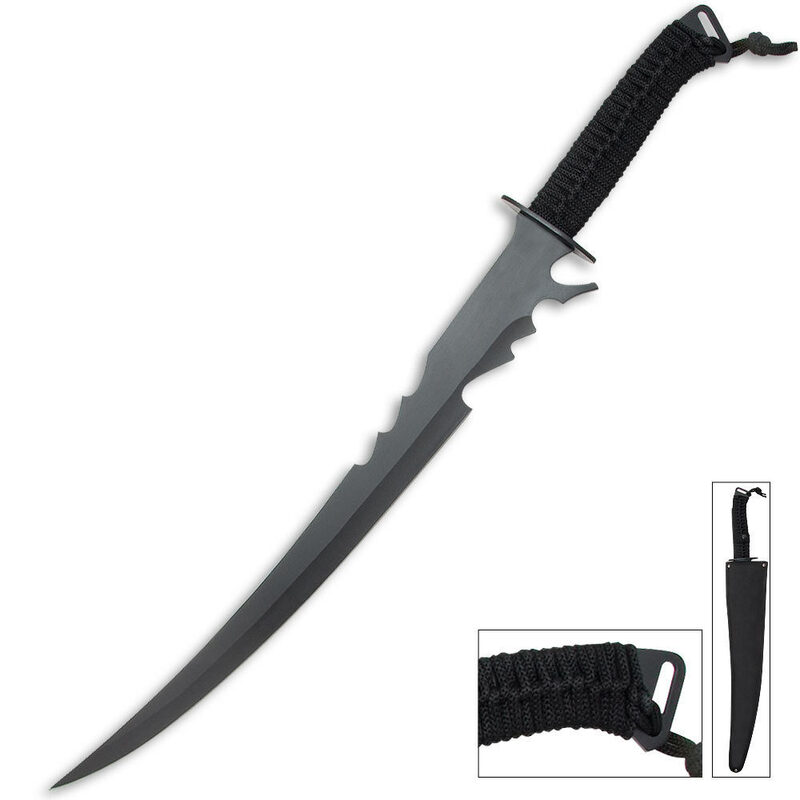 This short sword features an anodized stainless steel blade that measures 19 1/4". The blade is constructed with fantasy cutouts to give the sword a sleek, stylish look. The handle is complete with black nylon cord wrapping. Includes a nylon sheath with a belt loop and a handle for easy carrying. 26" overall.